Some of you might be saying “green beans aren’t Paleo, they’re a legume!” This is correct, green beans are a legume, but they fall into a gray area of Paleo. In a nutshell, fresh peas, green beans and sugar snap peas contain very minimal amounts of the potential negative constituents found in most other legumes. You can read more about the topic here. With so many other vegetables available, we only tend to enjoy them every so often anyway. We whipped up this recipe to go alongside some bison steaks, but they’d be perfect with Spicy Honey-Glazed Ribs or Beef and Onion Skewers too. Really any protein goes with this side-dish, which is why it’s a good one to keep in your back pocket. Especially if you’re looking for a quick meal. Throw some chicken on the grill, or a duck breast in the skillet perhaps and you could have dinner on the table within 30-minutes with this delicious green bean side. Boiling the water may just take you the longest amount of time. You’ll want to have all of your ingredients measured out in advance since everything happens so fast. 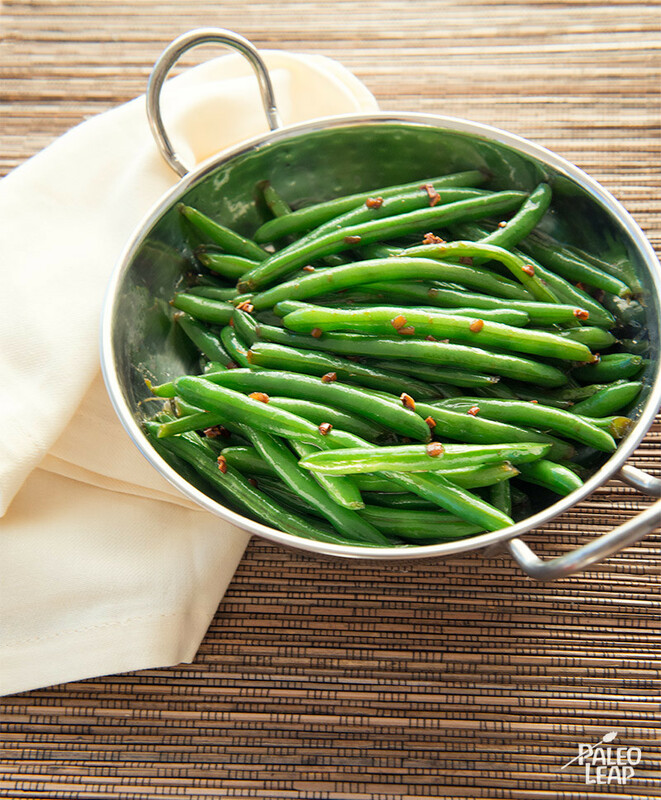 Best of all though, these green beans are even kid-friendly! SERVES: 4 PREP: 10 min. COOK: 8 min. Bring a large pot of water generously seasoned with salt to a boil over a medium-high heat. Add the green beans and blanch for 2 minutes. Transfer to an ice bath to stop the cooking, then drain. Heat the clarified butter in a sauté pan over a medium-high heat. Once hot, add the garlic and cook until fragrant, about 30 seconds. 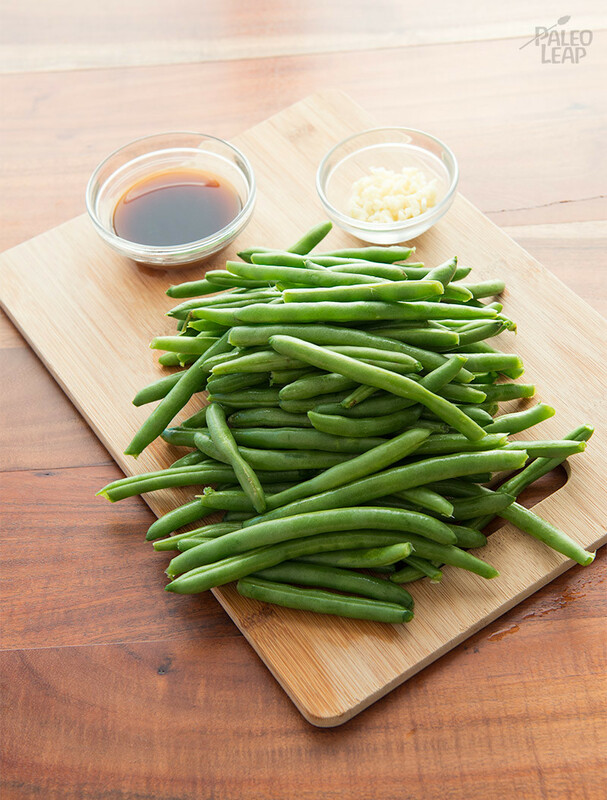 Add the green beans, coconut aminos, rice vinegar, and sesame oil (if using), toss to coat. Cook for 3-5 minutes, stirring frequently, until the sauce has reduced and the green beans are just starting to get tender. Transfer to a serving bowl, drizzle the remaining sauce over the green beans and serve hot.